Let’s face it – with Google constantly updating the way it displays local business results, succeeding at local search can be hard. In today’s marketplace, you can’t afford to only focus on a single element of search. If you hope to dominate, you need a complete local SEO strategy that drives customers to your business and not the competitor down the street. Our Local SEO Miami team lives local search day in and day out. We’re geeks for the stuff. Our local SEO experts have been doing this for quite some time – almost two decades – so we know a thing or two about driving results. 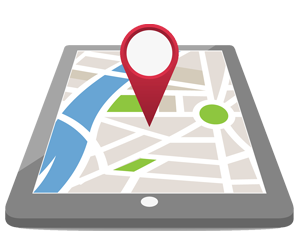 We stay up to date on local search changes and adapt our strategies accordingly. Pigeons and Possums? What do animals have to do with growing my business? Local SEO Miami – In 2018, SEO is not about ranking for popular terms; it’s about being found when it matters most. Our skilled search engine optimization experts carefully research the right keywords for your business, ensuring you are gaining qualified traffic that converts to your bottom line. Search engine optimization strategically targeted towards the audience in your community. From on-page SEO to local business schema markup, our Local SEO Miami team drives customers in-store and online.